"This is Arctic. His mom is a purebred Great Pyrenees and his father is a purebred Border Collie. He is the most gentle loving affectionate dog. He sheds a TON, though :-)"
The Border Collie Pyrenees is not a purebred dog. 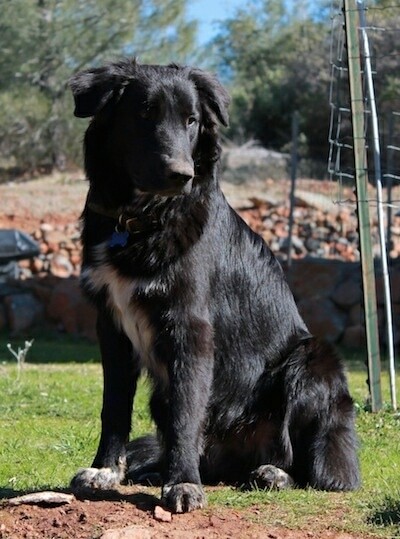 It is a cross between the Border Collie and the Great Pyrenees. The best way to determine the temperament of a mixed breed is to look up all breeds in the cross and know you can get any combination of any of the characteristics found in either breed. Not all of these designer hybrid dogs being bred are 50% purebred to 50% purebred. It is very common for breeders to breed multi-generation crosses. Barley the Border Collie / Great Pyrenees mix at 1 year old—"Barley and Oliver are brothers. They are a Border Collie and Great Pyrenees mix. 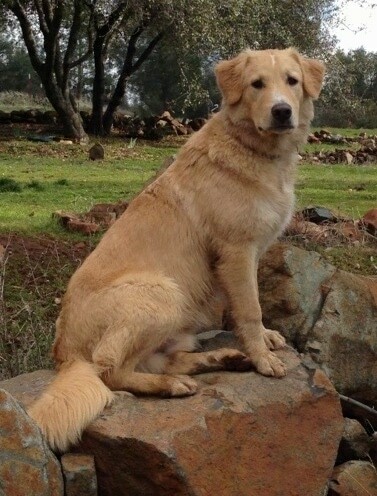 Barley is the golden dog and has the intelligence of a Border Collie, but the affection of a Pyr." Oliver the black and white Border Collie / Great Pyrenees mix at 1 year old—"Oliver, is a big, happy, doofus of a dog who hasn't shown us as much intelligence as his brother, but is equally or more affectionate than Barley."